Did I read that correctly? Yes, Yes I did. After many long years of watching Gus fail to get the girl; it is apparent that he has scored in the upcoming movie. Way to go Psych for giving Gus the girl. Now to pray she is a good match for Gus, and not crazy. Gus has a tendency to attract the crazy. TVLine has learned that Ballers actress Jazmyn Simon — or as we have come to know her the real-life fiancée of Psych leading man Dulé Hill — is joining the two-hour reunion movie as a romantic interest for Hill’s lovelorn Gus. Jazmyn released a video announcing the casting and a tease about her character. 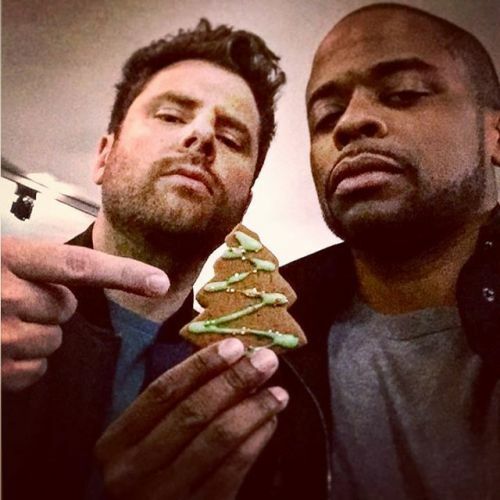 I approve of Dulé watching via iPad in the background, and the giant golden pineapple next to him on the mantle. Zachary Levi as you remember was cast as the villain. 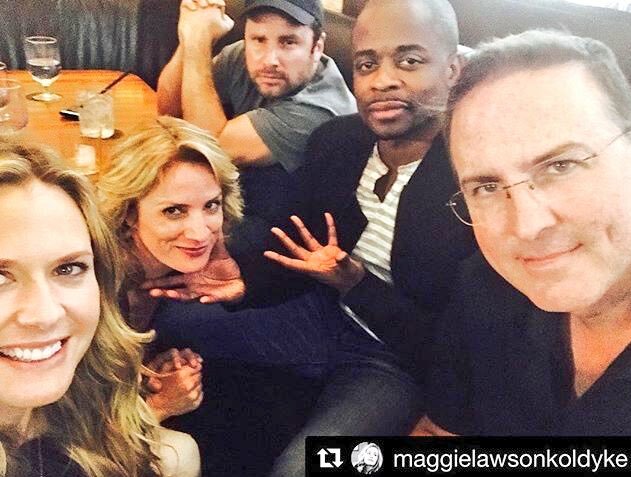 So the cast appears to be finalizing as we get closer to December. So what do you guys think? Is she going to be the best girl Gus has ever dated? Or is she going to be another mistake in a string of bad decisions Gus has made on the romance front? Let us not forget his brief wife Mira. She was the definition of crazy. Personally I am rooting for her to be his Juliet. It is time for Gus to be settled and happy. In addition to this casting news, they’ve also released a bunch of behind the scenes photos. I am attaching a few below for perusal and to fangirl (boy) over. 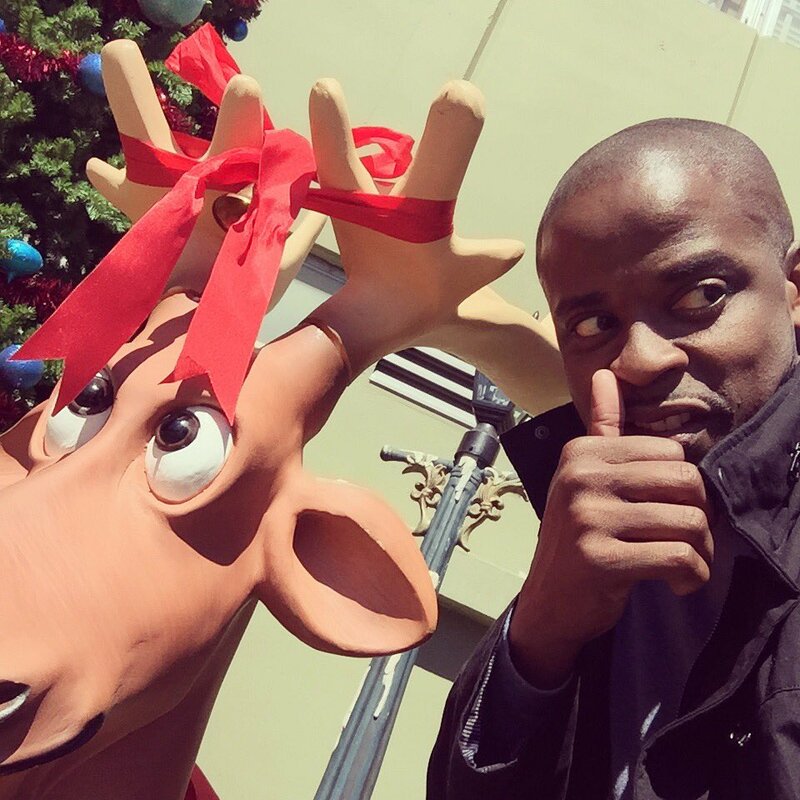 Dulé is “Psyched” to be back on Set filming. If you haven’t caught this weeks Youtube MaliceCast Podcast please do so and remember to like and subscribe. Please leave any thoughts about the above items below in the comments. Again, we thank you.